Light sleepers and insomniacs alike have all experienced the jarring wake-up call of a particularly bright sunrise at one point or another and know how hard it can be to fall back asleep afterward. Following years of struggling with insomnia off and on, and dealing with light sensitivity due to migraines, I’ve picked up a few tricks for having a better night’s sleep, and a top-notch set of blackout curtains is one of them. Since the slightest bit of light can startle me out of a restful slumber, I like (and need) my room to be as dark as a cave when I sleep. A few years ago, when I was at the height of my insomnia, I came across Sun Zero blackout curtains. At the time, I’d recently started using a sound machine to help me fall asleep and figured a set of blackout curtains might help me stay asleep. The thick curtains were easy to hang, and I was immediately impressed with how much light they blocked out when used in conjunction with a shade — I was too lazy to take mine down, to be honest, and figured it would add an extra level of light-blocking power. Granted, some online reviewers have used the curtains on their own (sans shade) and had a different experience. "They are not lined and they do allow some light to filter through. They are, however, substantially darkening," wrote one user. That being said, I've never tried them without a shade, and when used with one, the blackout curtains definitely put my old curtains to shame! 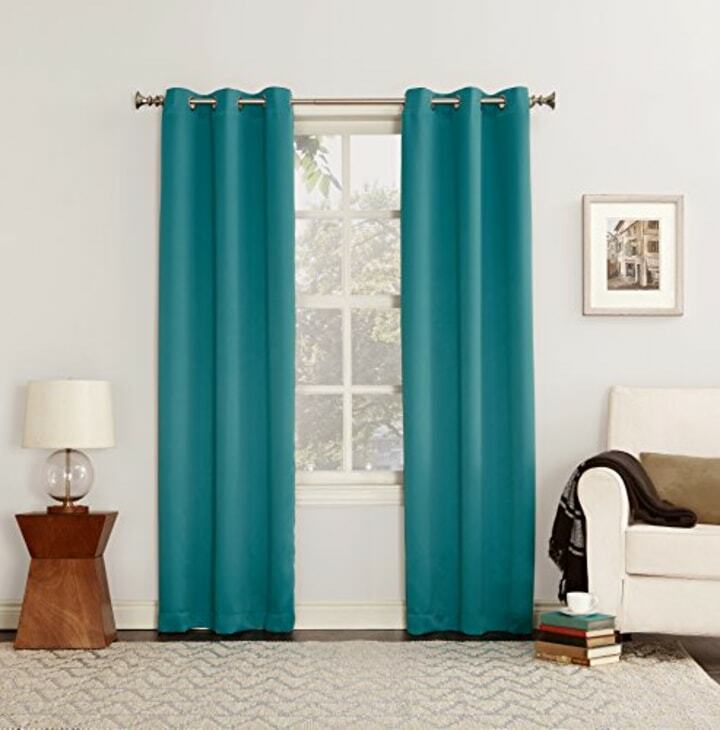 The gorgeous teal color also made my room feel brighter in a cheery sense of the word, and the $10 curtains come in a range of other stunning shades. As someone who’s dealt with migraines for the better part of 10 years, I’m also pretty sensitive to light in general, especially when I’m in the middle of a headache. Having a cave-like dark space to retreat to when a migraine hits is so important to me, and the Sun Zero blackout curtains have helped create that dark escape at any time of day. To be fair, blackout curtains like these won’t help you fall asleep, but they’ll certainly help you stay asleep. And that, to me, is worth the $10 price tag. 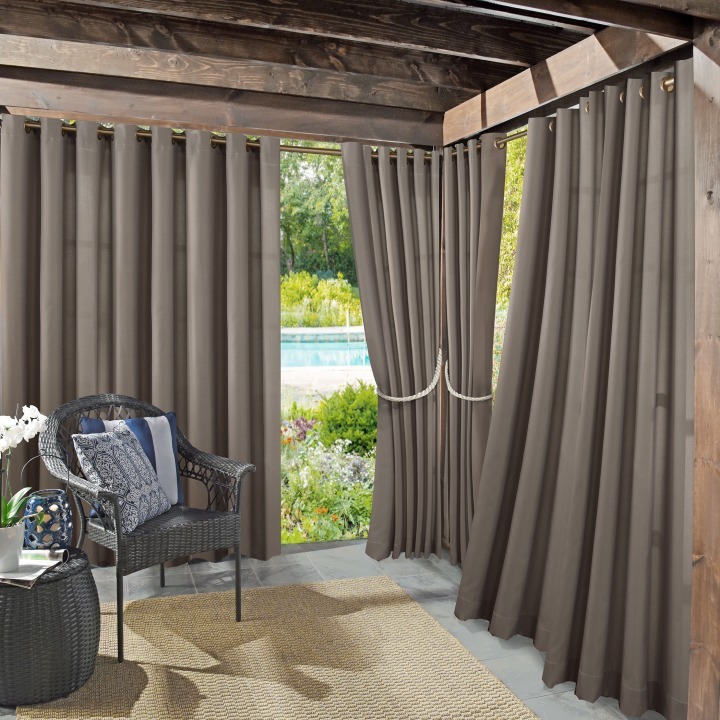 If you want to go all-out, Sun Zero also sells indoor/outdoor woven window curtains that are UV blocking with UPF 50 and fade-resistant. For home theaters, these theater-grade extreme blackout curtains have a 4.5 star review on Walmart. 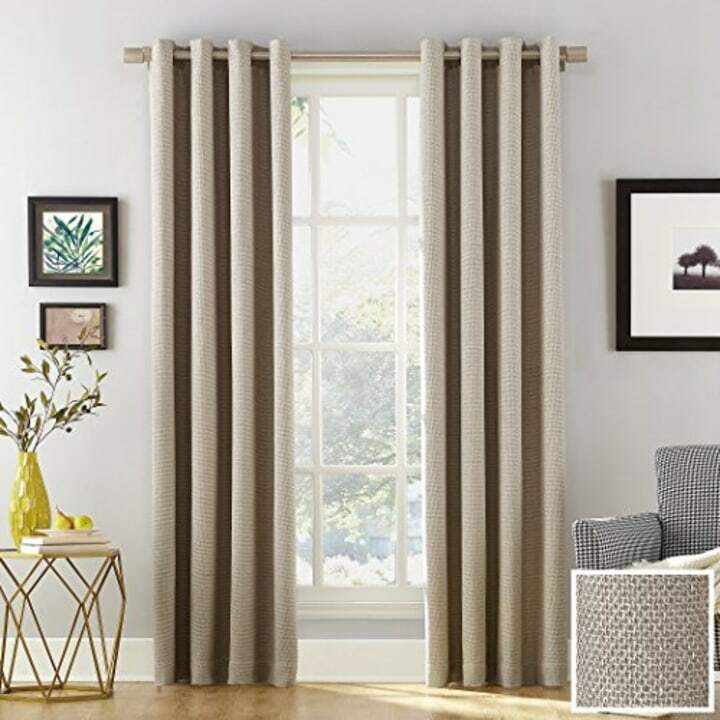 For more blackout curtains, check out our roundup of the best blackout curtains to help you sleep better this fall.